Along with a new upgraded Dock-to-Dish Seasonal menu, we have added community tables to our bar, added 10 Draft Beer handles, elevated the Wine List, and modernized our handcrafted Cocktails. 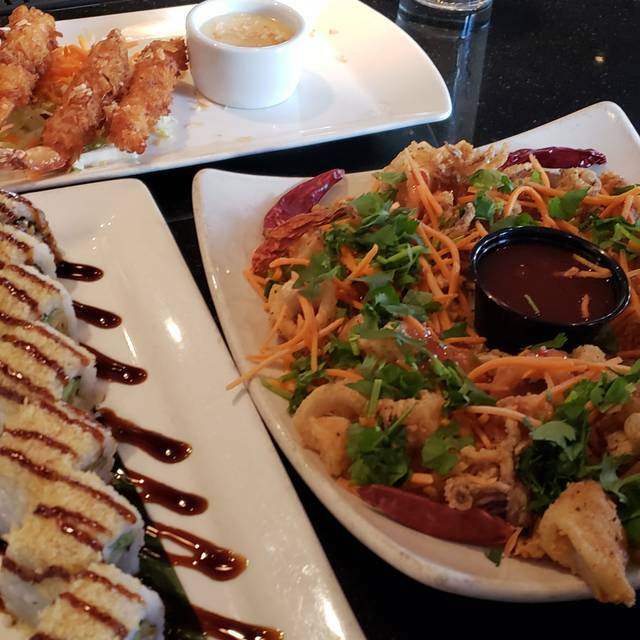 Additionally, we have enhanced our Happy Hour offerings, created new made-in-house scrumptious Desserts, and retrained our staff to perfect our Polished Casual Service. 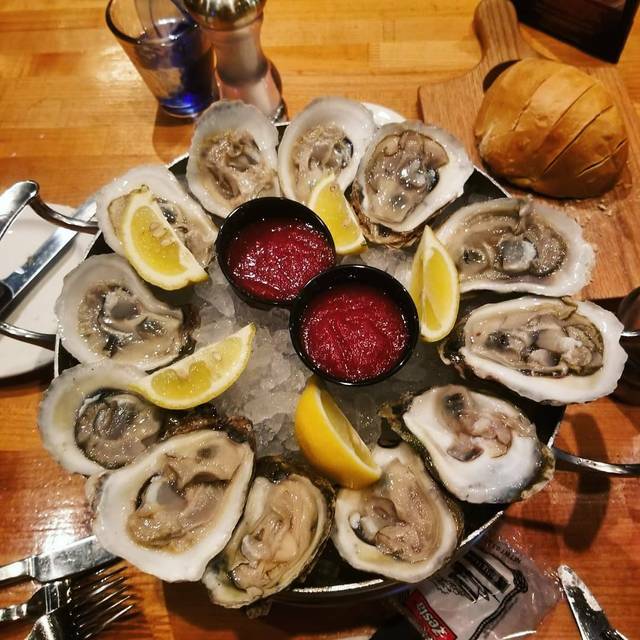 For those loyal guests of Market Broiler, we still have lots of your favorites, but we invite you to come in and sample some of our newest additions! Cocktail sauce, horseradish. Try it with our Sauvignon Blanc wine flight! Frank's® buttermilk fried, pepper jack cheese, slaw, tomato, brioche bun, French fries. Try It Grilled! Barley Forge - "The Patsy"
Like the restaurant, but not the parking, so probably won’t go back. Good bread (sourdough?) and Mexican Mule. Fish was also good, but a few bones in the trout. Caesar salad just ok. Overall had great food but the service was a little slow that evening. We enjoy going to the Market Broiler. 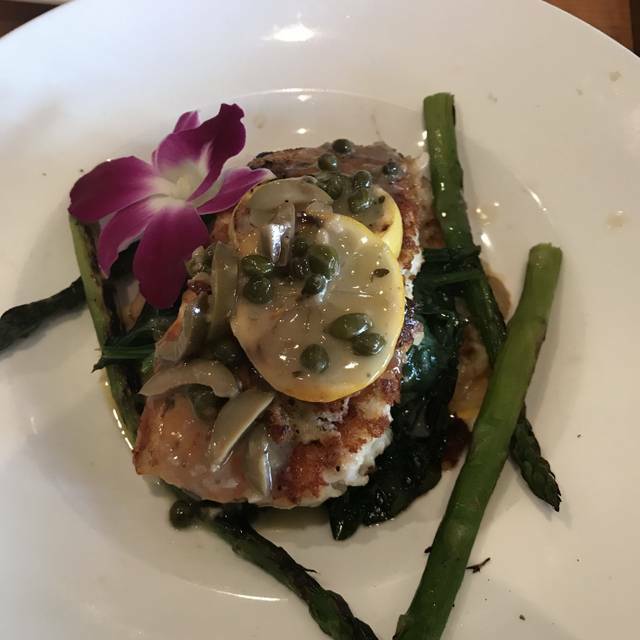 We went on this night because we heard halibut was back in season and we love the crusted halibut dinner at the Market Broiler. Celebrating a family birthday. Six of us really enjoyed our meals! It took a little longer than I expected but everything was prepared well. Chris was an excellent server, both efficient and warm too. We were seated promptly and well taken care of. 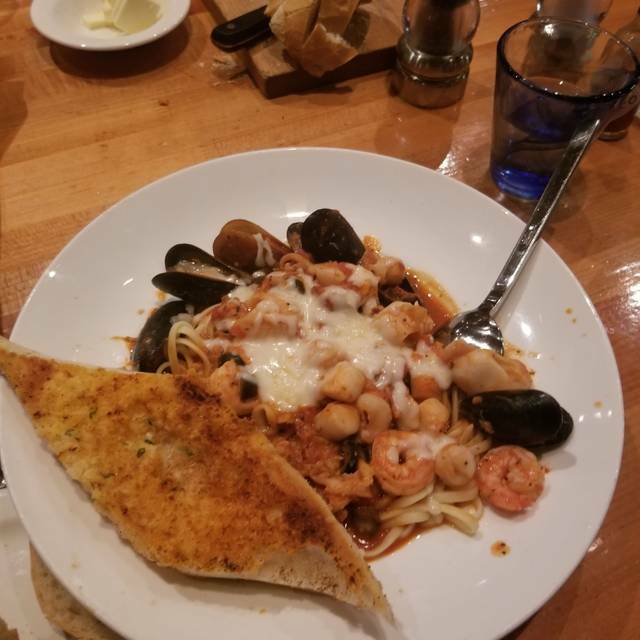 The cioppino was quite spicy for my taste, and the calamari pieces too big and chewy for both me and my Mom, but we had a good time nonetheless. Appreciated the birthday sundae. Service was outstanding. We were escorted to our table upon arrival, 10 minutes early. Constant refreshing of the drinks and food was hot and delicious. Value for the price was reasonable. Took wife for dinner out before going to the theater. Food was just average...not great. Received great service! I was disappointed with my experience this past weekend. I am usually a big fan of the Market Broiler. However, not this time. My husband and I ordered the fish and chips. We were told about the pricing and how many pieces of fish came with the lunch portion vs the dinner portion. Lunch was supposed to be two pieces and dinner four. I chose the lunch portion which came with two tiny pieces and my husband chose the dinner portion which came with three tiny pieces. To be honest the price difference definitely was quite a bit for one tiny little piece of fish. In addition it was over cooked. My daughter order sushi and the quality was definitely lacking. We eat sushi quite often and this did not taste very fresh. Our server took forever to bring our bill after our meal was finished. We usually order the fisherman’s stew. We have always been pleased prior to our last visit. Great food and service! This place is a family favorite! With our reservation...we were seat quickly and the service was very good...the waiters were quite pleasant. Loved the chowder and sushi that we ordered. The noise level in the place was a bit too much for me. A great business meal with a knowledgeable waiter, and the food was amazing! Great dinner salad, except for the too-small plate. 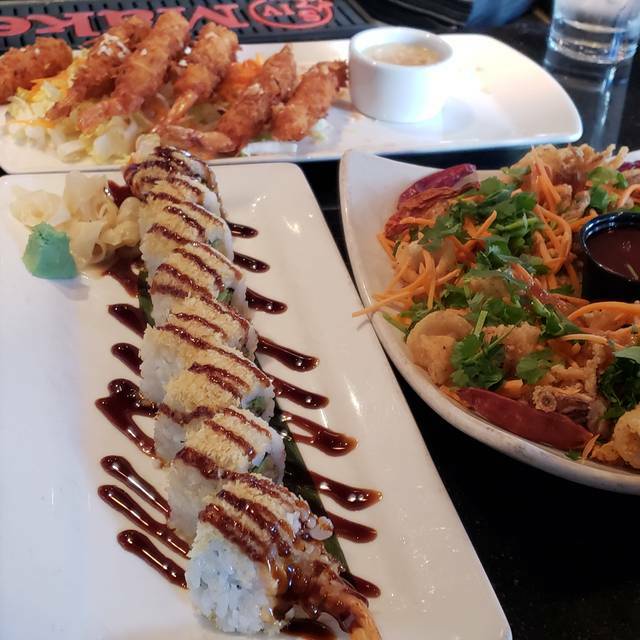 We always enjoy the very generous servings, and the food is delicious. Service was great. Clam chowder could have been called potato soup. Entrees were good. Everyone cleaned their plates! The food was amazing! This was the first time going to the market broiler. Great service, great food, excellent waiter and staff. Definitely going back.. The Seafood was Fresh, Cooked the Correct way and did NOT Smell like a Canary. A Very Professionally ran Restaurant with all the Amenities. I would highly recommend this Seafood Restaurant, for those that are very picky about quality of food. This is my fiancé and I’s favorite restaurant so we knew early on that we wanted to dine here for Valentine’s Day. I knew it would be busy and I was a little worried that the quality may not be as good as it is on a normal night. Not only was the quality near perfection, but the service was equally great. I am the first one to recommend this restaurant to others. It will continue to be our favorite spot to dine. Great food, service, and drinks! Even though we came early we got seated ... the bar service was slow. A man we finally found out was some sort of manager walked around looking like James Bond finally opened up. It was Valentine's day so they were busy but not to bad. Food was ok. Wife had a poke salad. Not a high quality tuna. Great Food, Service and Value. I will definitely be coming back soon. The meal was fantastic, and we enjoyed everything, and the drinks were mixed right. Food is a little pricey for the ambiance provided, but the server, Mike, was professional and on cue! The drinks were actually the best pricing that we've seen in a while $9 Mai-Tai, and $6 for happy hour. 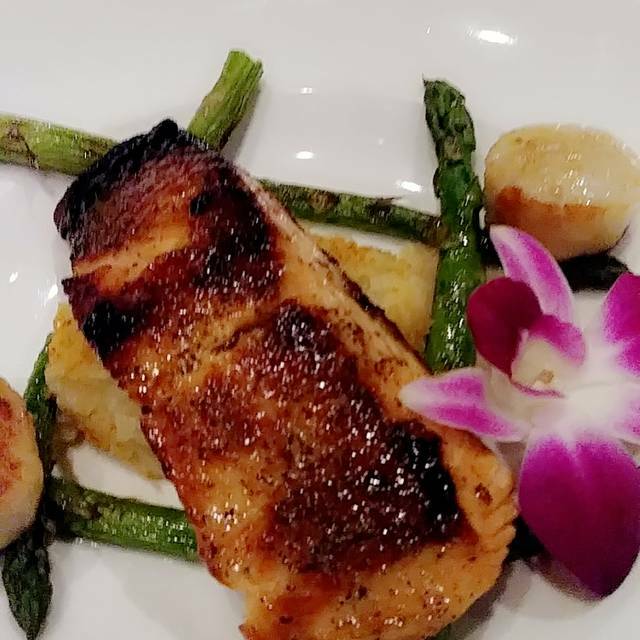 Food was wonderful, service is always great. Make sure you visit this restaurant. 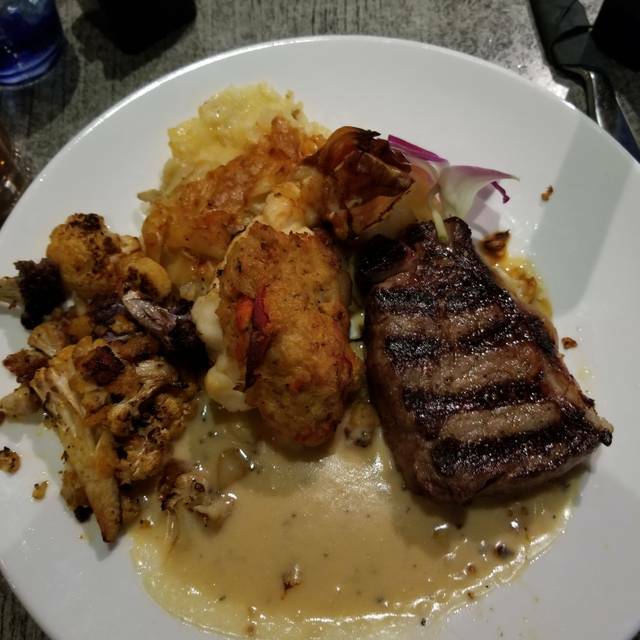 I had lobster tail and steak. And my wife had scallops and shrimp skewers. Market Broiler was under staffed the night we were there so it took a while to order and get our food. The server was apologetic about the situation but it wasn't his fault. However, the food was great and we would go back again. The food is always excellent! They also keep updating the menus so there are new things to try. The service, specifically the waiter, Ernesto was very professional and courteous. food was delicious. Very good atmosphere. 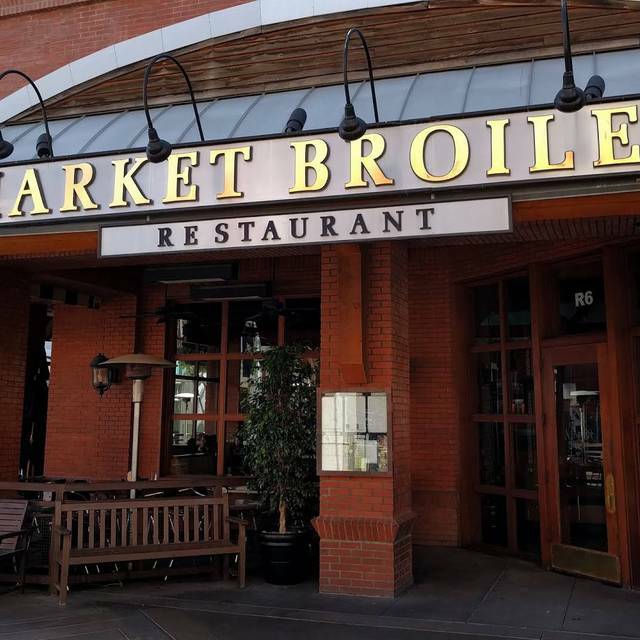 I haven't eaten at a Market Broiler for many years, but this one was convenient to my hotel so I gave it a try. Their main focus is fish and seafood, but since I just had a decent piece of salmon at Tu Tu Tango, which is right next door, I opted for the jambalaya. I was pleasantly surprised to find it really good, as far from Louisiana as we were. The sauce had the right flavoring and the sausage was excellent - spicy enough to get my attention, but not overwhelming. I'm allergic to shrimp, so I had them add some extra chicken instead. The chicken was all sliced white meat, but it wasn't dried out or overcooked. All in all, a hearty meal. I wished it was a little quieter, but that's a luxury these days, particularly in a shopping mall restaurant. Would go back in a heartbeat! Food was fresh and very good! There were 4 of us, and everyone enjoyed the experience. Great food, fresh,and great service . Went to celebrate bday they made our experience special .Apps,entree,and dessert were all very tasty and served at right temp . Will be back they offer great happy hr specials .. 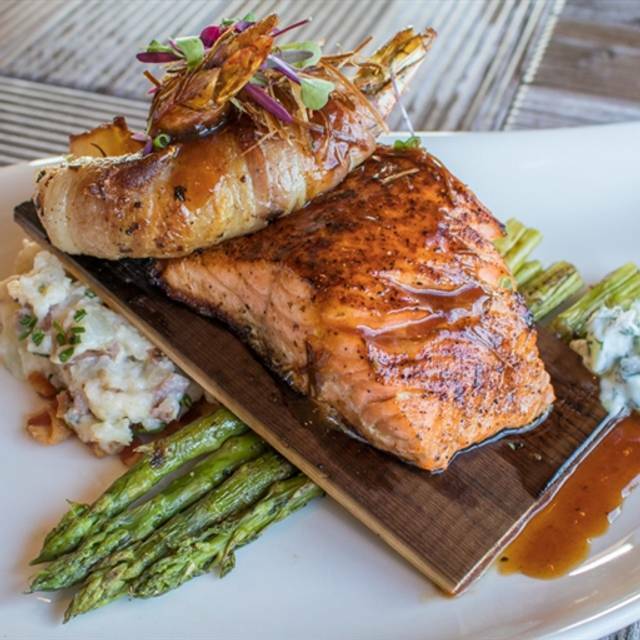 Solid casual restaurant with a wide selection of fresh fish, as well as hearty favorites. New Years Eve 2018! This was our final meal of 2018. We’re steak lovers and your rib eye did not disappoint! Yum Also, your wine flight is a great deal!